Anyone who paid attention to the Peterborough rock scene in the late 60s and into the 70s will remember Paul’s long guitar solos at the old Queen’s Hotel on Simcoe Street along with his buddies Ralph Parker, one of the best entertainers and keyboard players the city ever produced, Don McCallum on bass and various drummers including Ralph Tully and Paul Healey. Join Men In Suits on Saturday, May 9th at the Hard Rock Cafe. 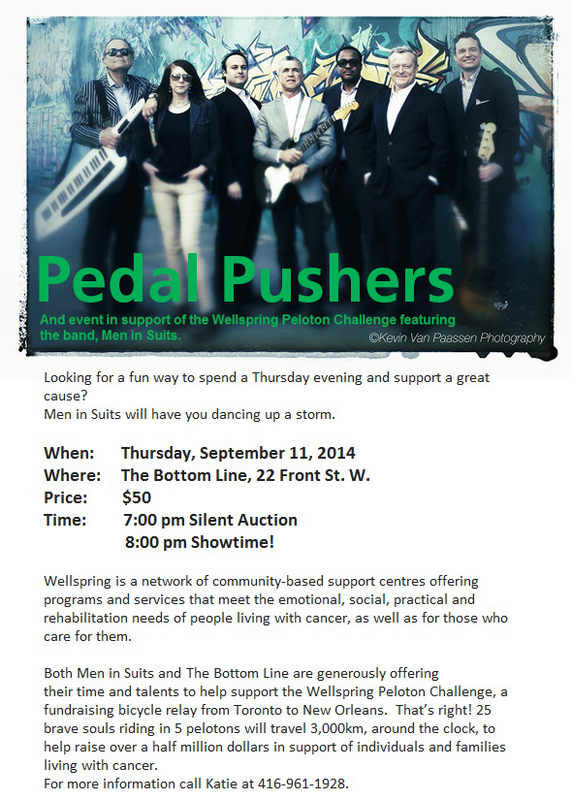 The warm up band starts at 8 and Men In Suits is the featured band at 10 pm! Come see your favourite band at the second annual EAT. ART. LOVE. charity event presented by Leave Out Violence (LOVE) in an effort to raise awareness and spread a message of non-violence within our growing community through art, food, friends and fun.